The Seattle City Council should mind its own business and stop trying to scuttle an environmentally beneficial maritime project in Tacoma. The Seattle City Council should abandon a misguided crusade against a Tacoma natural-gas depot proposed by Councilmember Kshama Sawant. Sawant last month proposed a resolution opposing the facility. The full council on Monday wisely paused for further consideration. It should reject the proposal and stay focused on Seattle’s long list of challenges. There are legitimate concerns about major new fuel terminals proposed along Washington waterways. Gov. Jay Inslee was right to reject one of these on Monday, an oil-by-rail terminal proposed at the Port of Vancouver on the Columbia River. But the Tacoma project is something completely different, with environmental benefits that were lauded by Inslee and climate-change activists when it received state support in 2014. The Tacoma project is not a refinery or an export facility. It’s basically a depot, fed by an existing pipeline, to support the conversion of ships that burn dirty fuels to cleaner-burning liquefied natural gas. Puget Sound Energy is building the facility to liquefy and store gas for ships, trucks and customers in the area. A primary user will be TOTE Maritime, a leader in efforts to reduce shipping emissions. The Tacoma facility is being constructed in a longtime industrial zone. 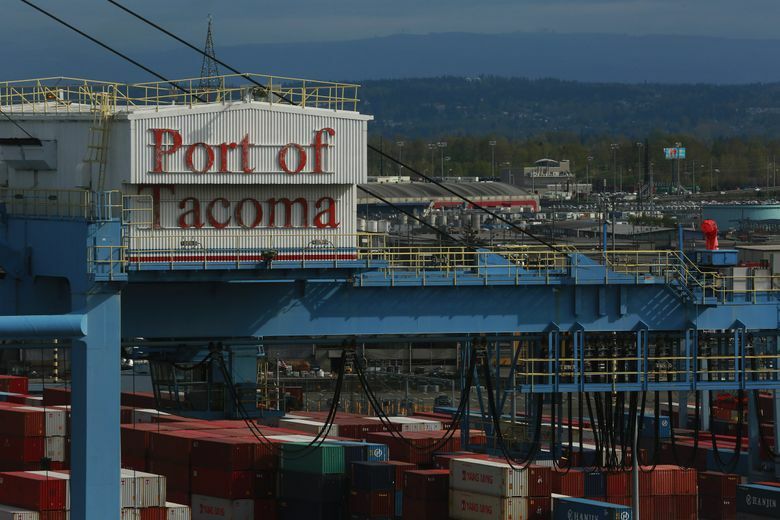 The Puyallup Tribe of Indians relinquished rights to the area in a landmark, $162 million settlement in 1988, clearing the way for the Port of Tacoma’s expansion. The tribe later explored building a shipping terminal near the gas facility site. During a lengthy environmental-review process, the tribe opposed the project, as did some others. Opponents are now focusing on the Puget Sound Clean Air Agency, which is seeking further review. The agency must be reasonable and keep in mind the reality that these ships will be fueled one way or another. Both the clean-air agency and the Seattle council should avoid pandering to the extreme base seeking to block anything involving fuel, which is counterproductive and slows legitimate efforts to reduce emissions. If anything, Seattle should be supportive of such projects. As a major port city, it should keep its options open for modern energy facilities that support the transition to a cleaner maritime industry. This article, originally published Feb. 1, was corrected Feb 2, 2018. A previous version included an incorrect name for Puget Sound Clean Air Agency.